Beyond the scientific reasons, I have always thought there was something almost mystical about the way a certain smell can trigger vivid memories. For me, the smell that conjures up the most memories is the smell of birthday candles after they are blown out. My grandmother's birthday was two days before mine. Growing up, my family always celebrated our birthdays together. One cake (a cake she had baked herself). and I can taste frosting mixed with a bit of wax as my Grandmother gave me permission to lick the icing off the candles. For the disciples, after Jesus' death, resurrection and ascension, I wonder what memories were triggered by the smell of bread and wine. To them, bread and wine were ordinary elements that would be forever transformed to memories of Christ's life, ministry, death and resurrection. 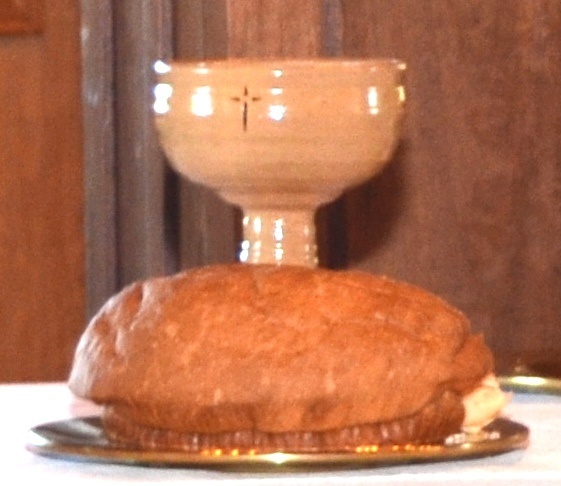 The ordinary elements of bread and wine continue to be extraordinary reminders of what the great reformers of our faith describe as "tangible signs of God's invisible grace" for disciples of every time and generation. As we move into holy week, as you partake in the sacrament of Holy Communion, I invite you to take in the aroma of the bread and wine. As you smell and taste the bread and wine, may it conjure up for you the Gospel stories, the covenantal promises of our God, and powerful reminders of the continued presence of Christ among us. Can you smell the bread and wine Jesus served to the disciples as they shared their last meal together before his death? Can you taste the suffering and sacrifice Jesus endured for our sake? Can you see the disciples' faces of triumph and joy as they entered into Jerusalem, where the faces quickly turned to despair and grief? Can you feel the tension, anxiety, and nervousness in the air of the upper room? Can you hear the crowds excitedly shouting "Hosanna!" one day and then emphatically chanting "Crucify Him!" the next? This is the invitation of Holy Week...to remember. To remember the preparation before the departure. To remember the despair before the joy. To remember the betrayal before the recommitments of faith. To remember the fear before the assurance. To remember the hopelessness before the peace. To remember the defeat before the victory. To remember that Christ's presence and power will always have the last word. In this Holy Week, I pray that you will breathe deep and remember to taste and experience how good the Lord is.